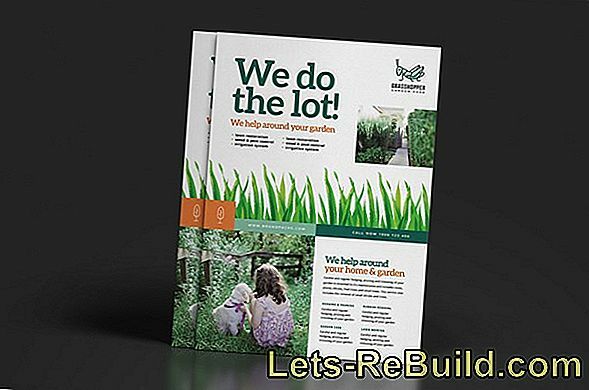 For large, small and winding lawns with or without trees each garden owner electric, battery or gasoline lawn mower are available. So everyone will find a suitable device and can customize it to their needs. 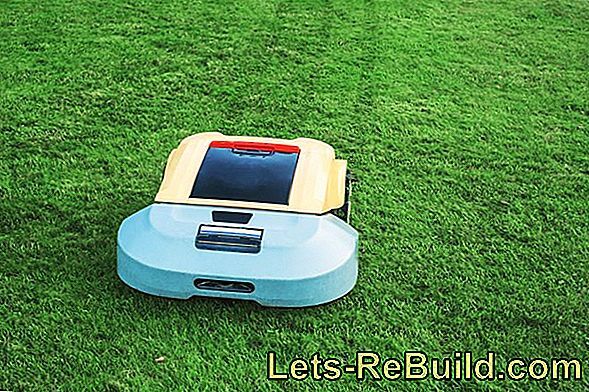 For the subsequent cut of the lawn edges Nevertheless, mostly cable devices are used. They are simple and therefore very cheap. 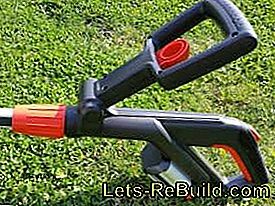 When buying, however, is often forgotten that usually the outer edges of the garden must be edited with the grass trimmer and this the power cable must be pulled through the entire garden. 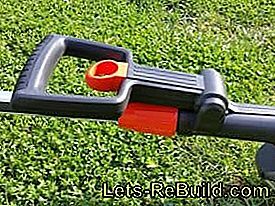 Mobile grass trimmers make the job easier. 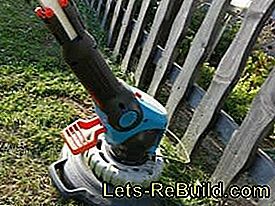 You can choose from heavy brushcutters and battery trimmers. Unfortunately, many are still at loggerheads with cordless tools because they do not trust them the necessary performance. 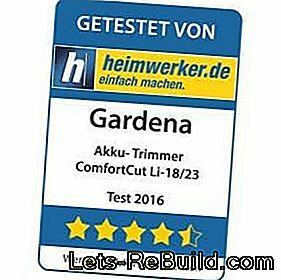 The GARDENA Accu Trimmer ComfortCut Li-18 / 23R is to prove in the test whether this doubt is appropriate. Anyone who thinks of old cordless screwdrivers sees big, thick batteries, which have to charge for up to 12 hours in order to provide relatively low power, which then steadily decreases after the first use. These times, however, are long gone and gone Lithium-ion batteries show a new state of the art. 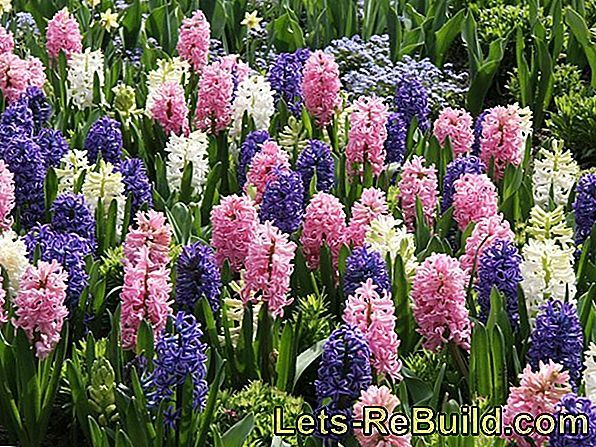 They lose even with prolonged disuse hardly any energy, can be reloaded at any time and offer enormous benefits. 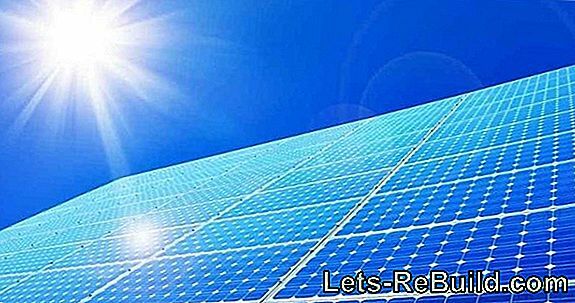 Although lithium-ion batteries are constantly being developed and there are hardly any limits, they do Already today they offer hardly imaginable services. 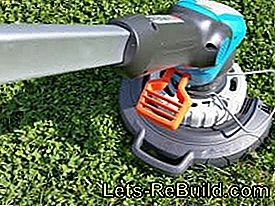 They not only operate cordless screwdrivers and small garden tools, but even supply circular saws. 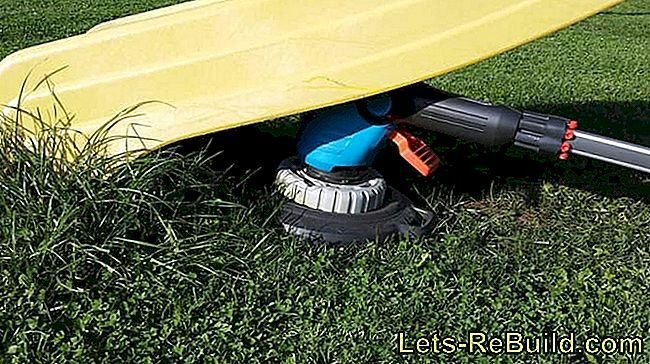 Such a power should not be a problem with a battery powered lawn trimmer. "Phew, that's a rind. 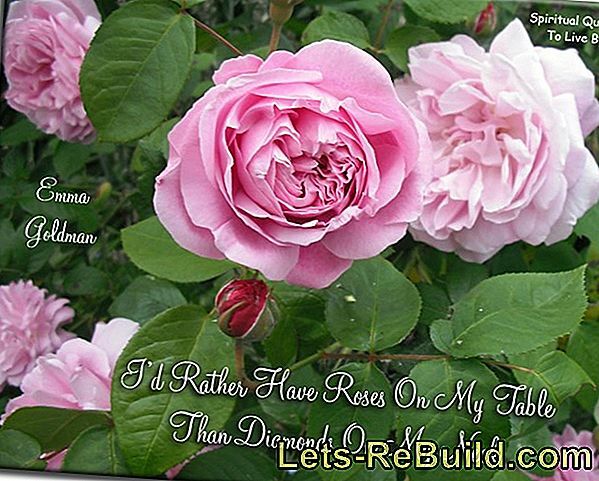 ", Many would probably say. And at 315 pages in A5 format the expression is certainly justified. A total of 28 languages ​​serve this manual, which just need their place. 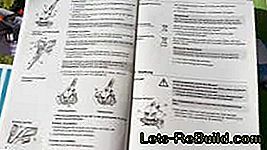 With 11 pages in German language The manual, however, actually quite extensive designed. 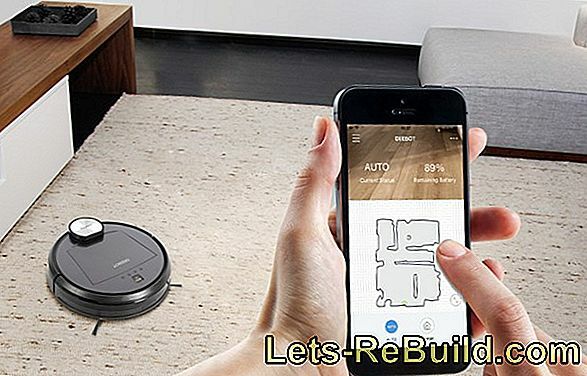 In addition to the usual safety instructions, which are highlighted in gray for better visibility in the introduction and also on the following pages, follow instructions for assembly, the use of the battery and explanations on the operation of the battery trimmer. What I always find quite useful is an "error table overview". 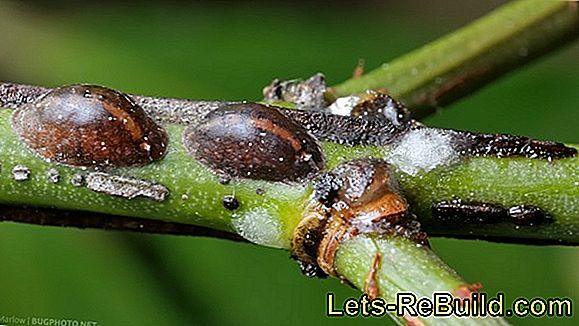 This can be some errors on possible causes check and take necessary countermeasures. Overall, the operating instructions are easy to read, and the fact that there are no fold-down pictures is not important in this manual. Many texts are accompanied by matching drawings and the readings are easy to understand. Even if the pictures are not photos, but only drawings, they are well designed and very detailed. More is really not needed. 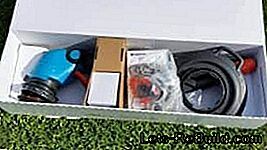 The cordless lawn trimmer appears in a colorful and surprisingly small box only 17 x 26 x 90 cm. On this you can see a lot of application pictures showing the possible functions of the ComfortCut Li-18 / 23R. Text would almost be superfluous. Of course, the specification of technical data is not omitted. Interesting is the variant to represent the technical data using a graphic. It shows the battery data, the weight and the cutting diameter, but also explains the functions. Communication problems should not exist. The assembly is therefore simple, but at the same time brings with it some doubts. 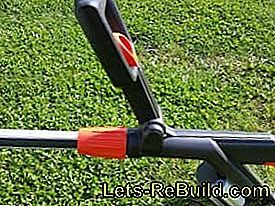 In the first step, the handle is pushed onto the handlebar and clicks audibly inside. Yes, inside - Therefore, these two parts can never be taken apart again. Apart from screwing on the device. Subsequently, the additional handle is infected, which also engages with a spring mechanism, which serves the subsequent adjustment and apparently also can not be solved again. Should that be the intention? Unmistakably, the two-piece impeller is placed around the trimmer head and the parts snap in clearly. Now only connect the guard and the knife magazine and you can start with a charged battery. The battery has earned its own paragraph, which unfortunately is not only positive to see. In the first moment amazed the enormous size and weight. By contrast, a comparison model is more playful. On a battery trimmer certainly not a deterrent argument; In the age of battery families and replacement batteries you would rather not imagine such a battery on the cordless screwdriver. 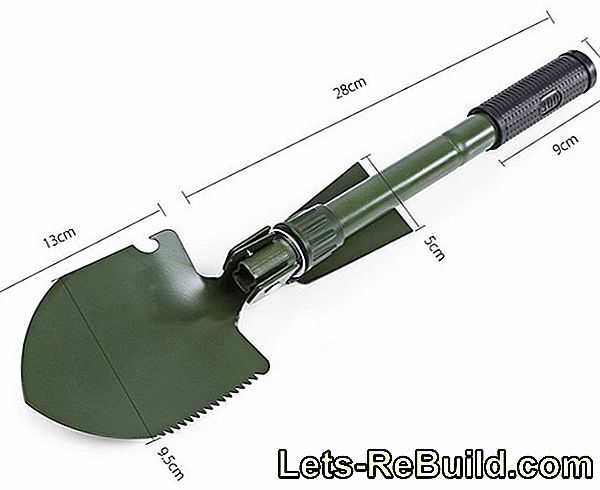 However, such hand tools also fall less in the area of ​​Gardena. Positive falls in the first place integrated battery status display on. Although many devices have an integrated display, but unfortunately not all. The integrated display in the battery puts an end to the "maybe" of the display. It is firmly connected to the battery and works both with and without tools. Especially someone who has several batteries, so can check the state of charge of each battery, without first having to use it in a tool. This variant has definitely earned a plus point. This will be more interesting Display when connecting the charger, because then it informs about the current charging process and provides information about the state of charge. The charger itself can be significantly smaller and it may also explain the large size of the battery. That actually quite small failing charger is content with a plug power supply in strange form. Although it is very narrow, but high and elongated and twisted over the usual shape by 90°. Whether this brings advantages, can not be determined, since it depends on the arrangement of the sockets. If they are next to each other, there is room for more plugs. In the test workshop, however, the sockets are arranged one below the other, as with most power strips. 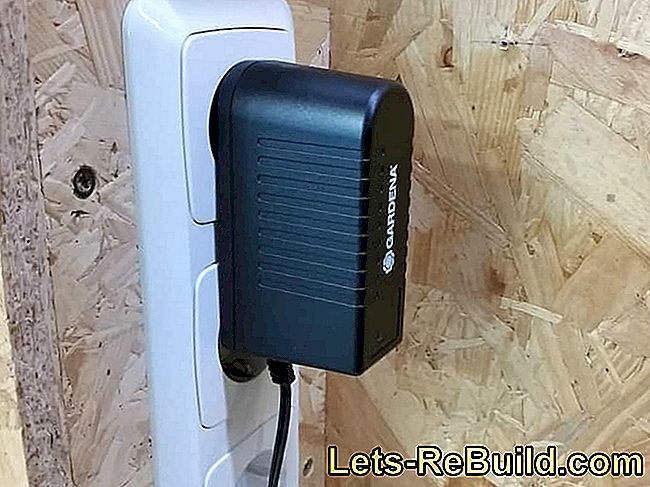 Here the plug-in power supply conceals a complete additional socket. Overall, the charger is compared to other but quite small, which is certainly due to the performance. It is content with a weak 600 mA and needs about 5 hours to fully charge the battery. This is way too long and unfortunately not up-to-date anymore. Overall, the battery technology gets so a bland aftertaste, even if the built-in battery indicator absolutely excited. 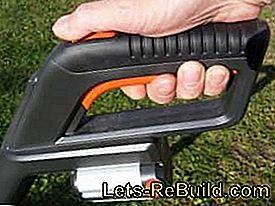 Also, if I am a little irritated by the irreversible assembly, leaves the Gardena EasyCut already a powerful impression. Powerful certainly not in the sense of big and heavy. No, he is with 2.8 kg quite handy and looks rather filigree. 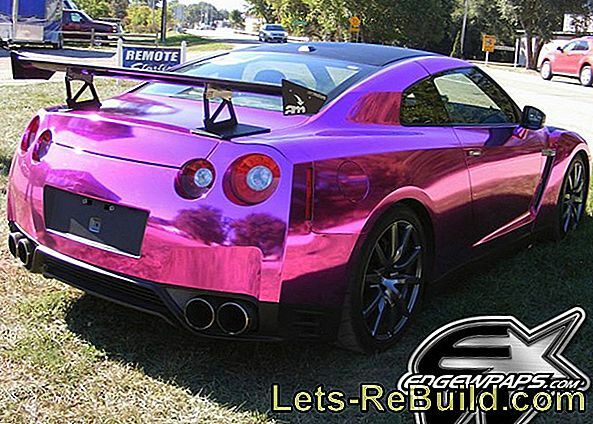 It's the design and probably the color scheme. All controls are set in a bright orange and invite you to try everything. In the hardware store, the trimmer of Gardena is likely to be the one on which many visitors try everything. Gardena definitely deserves the design point. 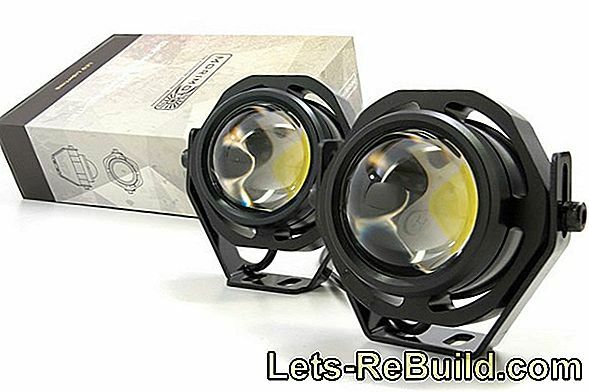 All parts feel very high quality and are perfectly processed. 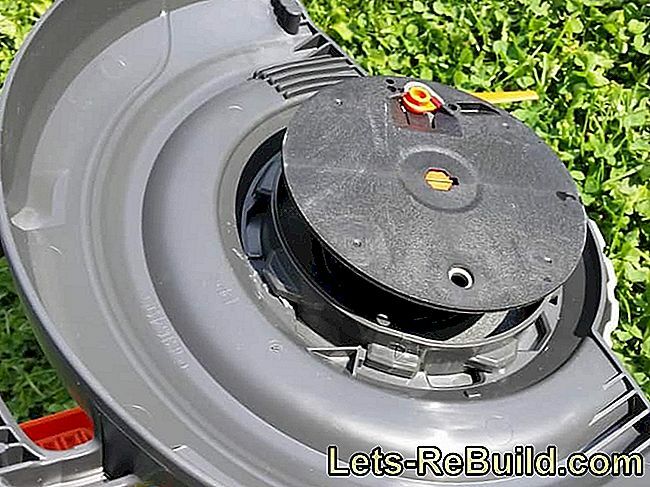 No burr and no heels or edges on the screwed parts of the trimmer. Not quite so convincing is the small knife magazine. Surely it can be handy to have spare blades with you; but the magazine seems kind of loveless and does not meet the otherwise high-quality impression of the trimmer. Also, the removal is designed as somewhat unwieldy, since the magazine is very loose on the telescopic rod and slips up rather than release a spare knife. Presumably, the magazine will also find quite rare use. 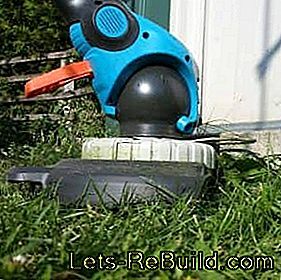 Cordless trimmers are mainly used in domestic gardens and there is the way to the workshop to get a spare knife, rarely far. However, this also assumes that a knife is sufficient for the processing of a standard garden size and a frequent change is not necessary. That will be shown by our practical test. Overall, the ComfortCut Li-18 / 23R impresses. He sIt looks good and offers many adjustment options just waiting to be used. First, of course, a pressure on the control switch, in which, however, does nothing. Of course, the battery trimmer has a safety switch, or a power-on lock, which must be pressed beforehand. However, the positioning of the safety switch does not really like it. Should he be pressed with the palm, this must be very far forward on the handle, which I feel rather uncomfortable. If the handle is held at the rear end, the grip position is more comfortable; however, the safety switch must be operated briefly with the thumb from above. During operation, this variant has proven to be the better. For this purpose, the start button can already be pressed lightly before the safety switch is triggered. 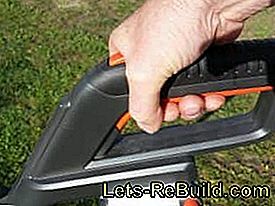 Then press the safety switch with your thumb, switch the start button and the trimmer is in operation. What initially seemed a bit awkward, But at work, it quickly turns into habit. When the question of switching on has been clarified, the ComfortCut Li-18 / 23R impresses with one pleasant smoothness and low noise. A comparison device of another well-known manufacturer, however, seems significantly louder. Before going to work, however, the trimmer must be set correctly. Here he trumps with his many settings right on. At my height of 178 cm, the spar must be almost completely pulled out; the user may therefore be a little bit bigger and still find a comfortable working position. The many lockable positions of the additional handle have a very favorable effect. 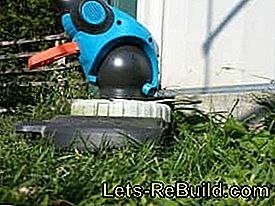 Once the right position has been found, the Gardena trimmer literally "floats" in the exact working position. 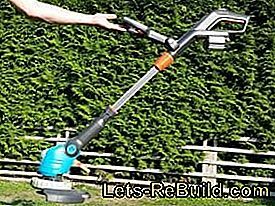 In conclusion, it will put the trimmer head in the right position, what you do not have to bend over. The release of the lock takes place with a kick on the locking lever - really comfortable. 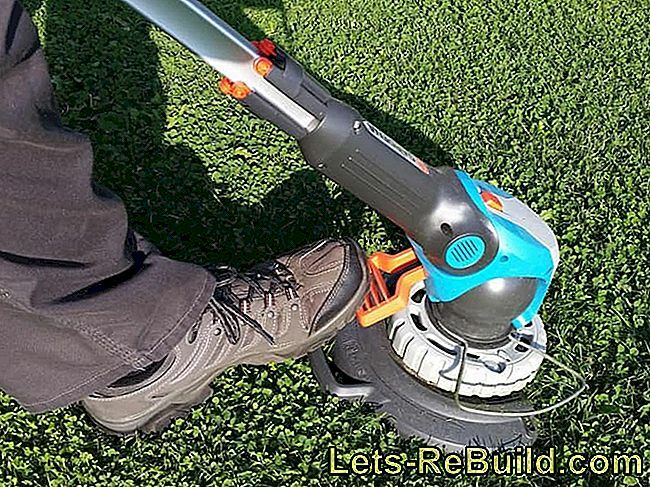 Adjusting the trimmer correctly results in an absolutely comfortable working position, which does not stress the back and does not make the tool too heavy. You can stand upright and let the "holding arm" stretched. The right hand is only needed to operate the switch and to guide it easily. 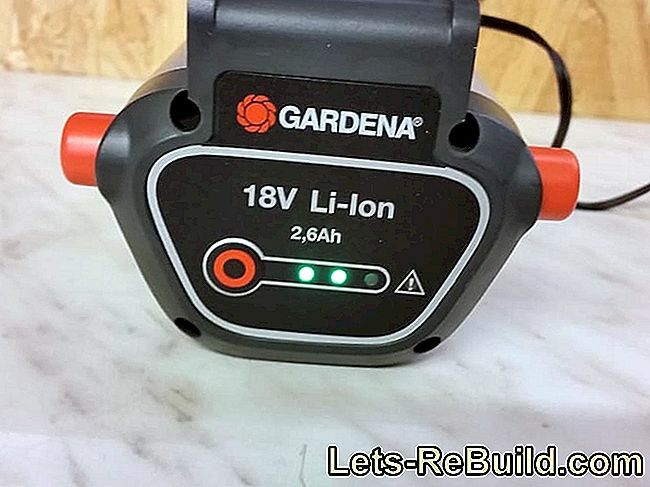 During operation, the battery trimmer from Gardena works very well. With denser grass he does a bit of a tobogganing, which I noticed with other trimmers with knives instead of a cutting line. In my opinion, thread bobbins cut but with less effort, but this can also be due to the knife mounting plate, which sometimes for additional friction on the lawn provides. In contrast, the blade change designed much easier compared to a bobbin. The choice of the cutting system is therefore rather a matter of taste and can hardly be rated as positive or negative. 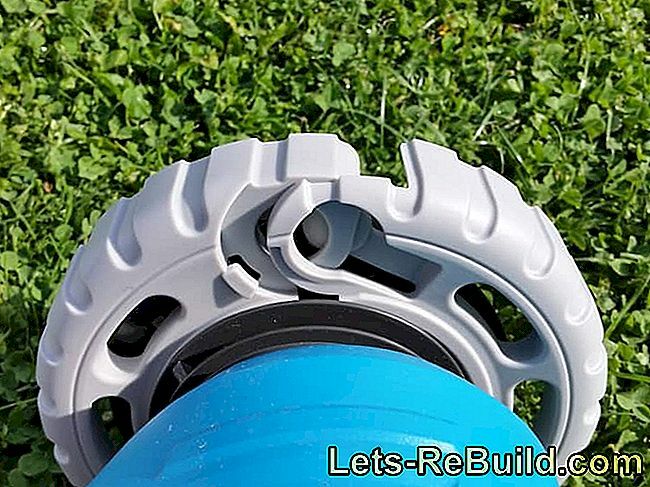 The impeller appears to be quite useful a good guide in the processing of lawn edges should allow. Here, the trimmer head is placed with the impeller on the stone edge and can be easily pushed along it. In practice, however, the method proves to be only partially helpful. 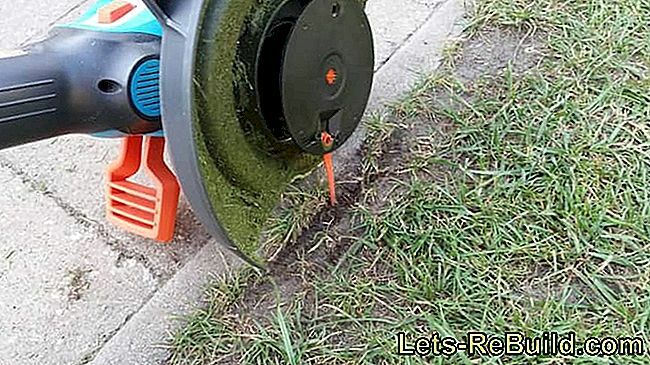 If the sidewalk or terrace are at the same height level as the lawn, the wheel diameter is a bit small and small the knife digs deep into the earth. At a suitable height difference, the wheel but makes perfect sense and can be very convenient. Maybe a height-adjustable bike would be a good idea. Unfortunately, it can not be used in the test garden. 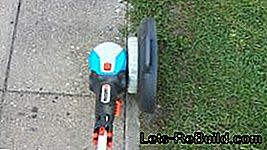 Very useful is the adjustment function of the cutting head, which allows the Gardena trimmer to lay flat on the floor. So be even the narrowest passages reached under children's slides, benches or other obstacles. Also, the 2.6 Ah battery performs well as expected and does not weaken even after the entire edge processing in the garden (about 300 m²). Thus, one could even make friends with the very long charging time of the battery. The attached knives deliver a good cut result, but would like to be a bit more stable. 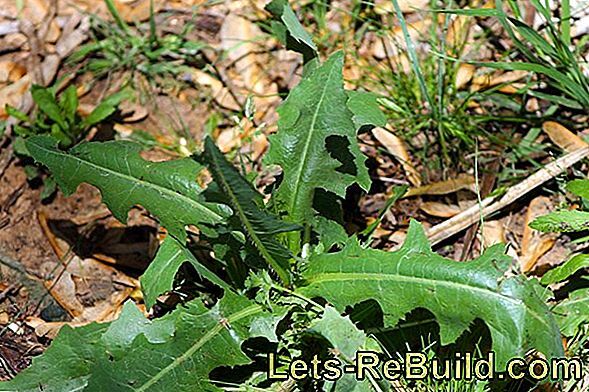 As long as only grass is cut, they keep up very well; if, however, something more stable weed is added, notches are quickly noticeable, in which even blades of grass can get caught. Overall, however, a very fluid work is possible and the good weight distribution prevents rapid fatigue. The Accu trimmer ComfortCut Li-18 / 23R first and foremost impresses with a fresh and slim design. Thanks to sophisticated adjustment functions, it can be adapted to any body size and working position. thanks sophisticated adjustment functions It can be adapted to any body size and working position. A pleasant volume and a very quiet running complete the whole package. The supplied plastic knives provide a good cut, but are more sensitive to stronger plant stalks. The battery is quite large, but does not have any weaknesses and can prove this at any time with an integrated battery status indicator. Very weak on the chest, however, is the charger, which needed for a full battery charge up to five hours, Also, if a battery charge allows a few trimmed meters, charging the battery just takes too long. In addition, the plug-in power supply conceals a second outlet during charging. Something bad, but not necessarily pejorative the missing possibility to be able to repack the device. 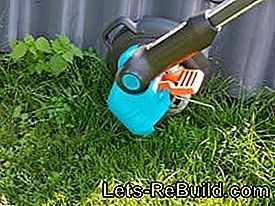 If the trimmer is put together, some parts can not be loosened and the trimmer can be stored over the winter months to save space. Overall, however, leaves the Gardena Accu trimmer ComfortCut Li-18 / 23R a good to very good impression and receives our buy recommendation. Who can live with the long battery charging time or makes a removable battery, may like to put the test result for itself to five stars, because in use, the trimmer performs no weaknesses and impresses with a high ease of use. The most important vehicle tools briefly introduced: we explain when you best use ratchet or open-end wrench. 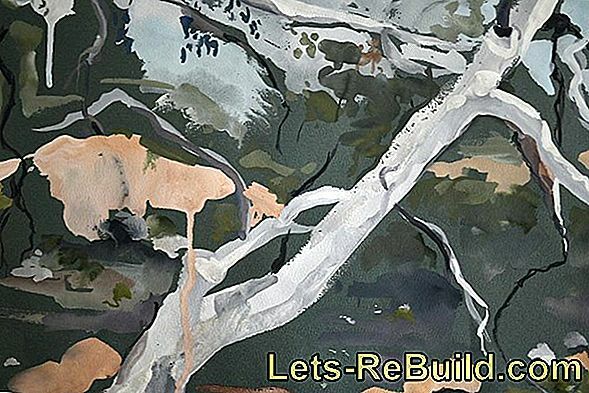 ➤ current tool shed comparison 2018 on lets-rebuild.com. Compare now and order top tool shed online! 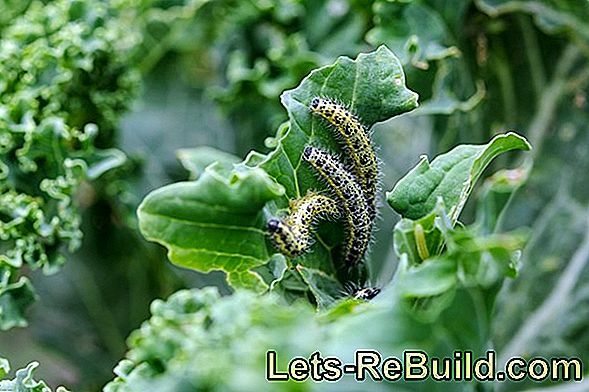 ➤ current solar lights comparison 2018 on lets-rebuild.com. Compare now and order cheap solar lights! Linde: not only for bees a pleasure. 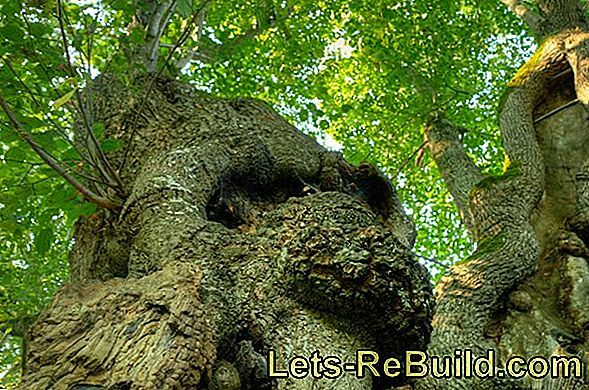 We inform you about the beautiful garden and avenue tree. Parsley is harvested from may to december in many home gardens. One differentiates between a smooth and a krausblättrige form. Leaf parsley can be sown directly in the bed from mid-march. With a garden poster made of pvc-coated canvas you get the sun all year round in your garden or on the terrace. Through their fragrance, appearance and enjoyment, herbs in all their variations bring holiday memories to the garden and stimulate experimentation in the kitchen. Advantages and disadvantages of different bike carriers for cars, we present here. Just as you mount roof, rear or trailer carrier. If the garage is wet, the content suffers as well. 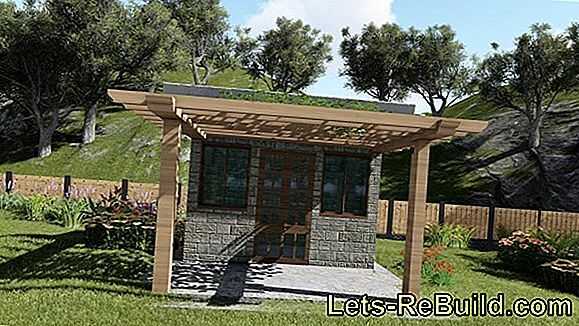 For old garages, the garage renovation is therefore just as important as the care of the vehicle in the garage.